The National Hockey League named William Hill as the official NHL sports betting partner. As part of the deal, the league will earn marketing revenue from William Hill. As a result, the sportsbook can use the NHL brands in advertising campaigns. NHL and William Hill didn’t disclose the terms of the deal to sports news outlets. However, the deal doesn’t include the use of the new puck and player data of the league. Commercial deals between sportsbooks and sports leagues have been coming since the Supreme Court allowed the legalization of sports betting in all states. At present, eight states legalized sports betting. For years, only Nevada had legal sports betting. Sports betting software distributors expect more states to follow soon. William Hill has partnership deals with the New Jersey Devils and Vegas Golden Knights. Aside from William Hill, NHL has sports betting deals with FanDuel and MGM Resorts International. However, MGM is the only one with access to game data coming from pucks and players’ shoulder pads. The new tracking technology reports 200 data points each second on players, and 2,000 data points a second on the puck. MGM can use the data for in-game wagers. In fact, specialized wagers will likely to grow as technology improves over time. Also, it will depend on the interest of fans. According to William Hill, they like the NHL’s approach of not requiring its sports betting partners to buy official league data. 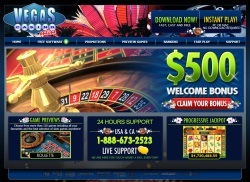 In addition, the sportsbook will follow the results of the player and puck data success. They will look to expand their relationship with the league if they see that the data can help their business in the future. At present, the NHL signed an exclusive deal with Sportradar to provide live game data, excluding player and puck data. Sports betting per head operators need to pay the league to use the new player and puck data.